My name is Reina and I’m a sneakerholic. (Nod your head if you are one too). Throughout the years, I have collected a number of sneakers from various brands and trends that I’ve gravitated to. 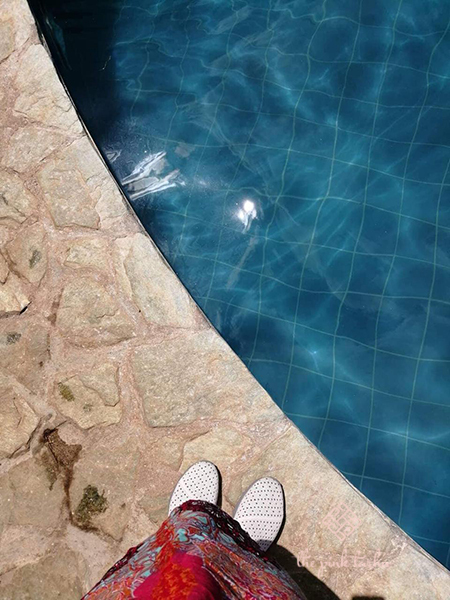 It started in my late 20s when I began to retire my high heels and prioritized comfort over style. The interesting thing though that I realized was that high heels made me feel old and wearing rubber shoes made me feel young (and cool). My affection for sneakers only grew bigger when I married my husband, who is also a sneakerhead. You can just imagine our shoe closet! 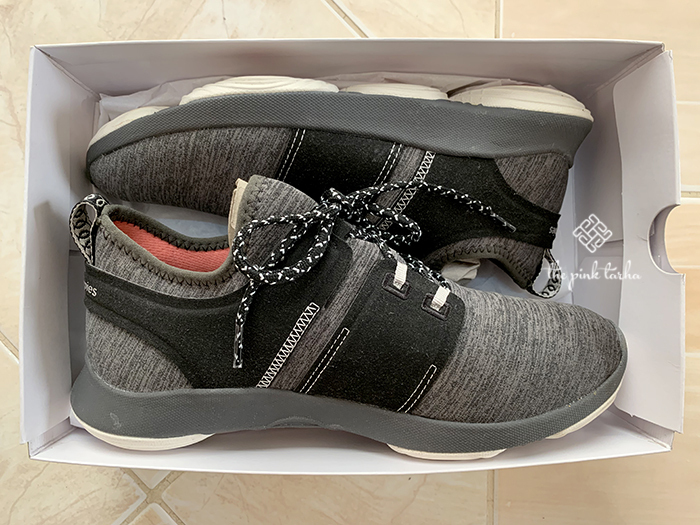 So when we got the opportunity to review the newest collection of Hush Puppies called Bounce Max, I was happy to say yes. 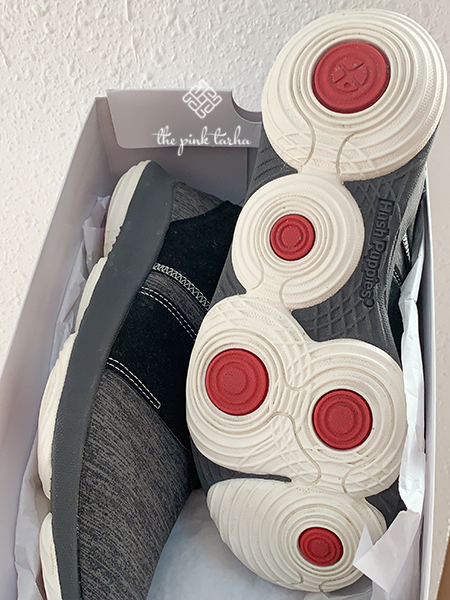 Most of the time, we’re sent beauty products to review on the blog so this was actually a first — to get a box of shoes and write about it. 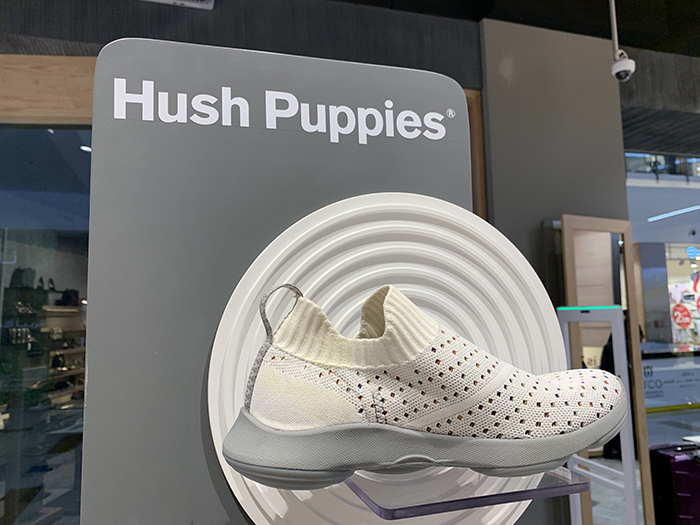 Our pairs came from Al Garawi Group, who is the official distributor of Hush Pupppies in Saudi Arabia. It was timely as well because Janelle was about to go on vacation and she could easily test it with all the trotting she’ll be doing. Apart from the unique design, the sole is comprised of both soft and firm foam. 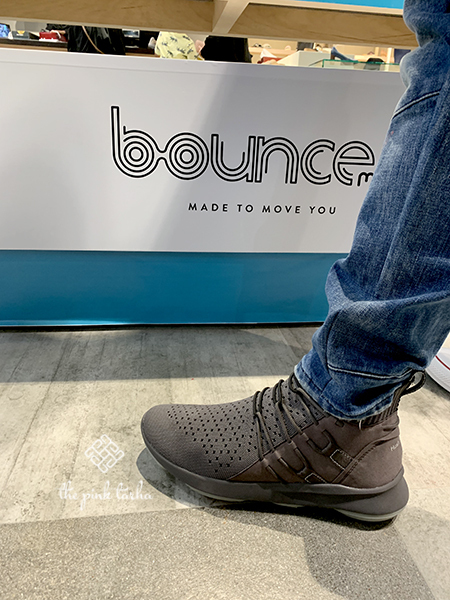 The Bounce Max looks immediately distinct thanks to its five-pod sole designed to support the major parts of our feet, following its normal movement. Most of the time, sneakers are designed with a flat outer sole but with a cushioned mid-sole (like lightweight and/or memory foam). 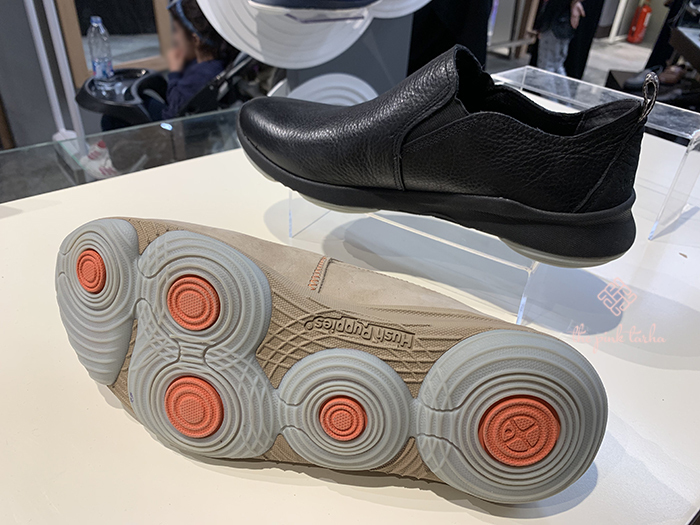 However, with the Bounce Max, these five points in the outer sole were made to sustain the important parts of our feet (sole, ball, instep, arch and heel) during extended activities like walking or even running. When I wore my pair, I admit that it was a little disorienting at first. But that’s what innovative design is supposed to do: change the norm. So I went about my regular routine of coming to work and doing social media coverages around town and by the end of the day, I got used to the “not-flat” feeling. It was comfortable to wear and brought about a spring to my step without making me lose my balance. Its tagline is “Made To Move You” and the shoes’ design did live up to its name. I chose the darker color of grey and black because if it’s something that I would be wearing every day, I need it to be a manageable shade that can match with whatever I am wearing. 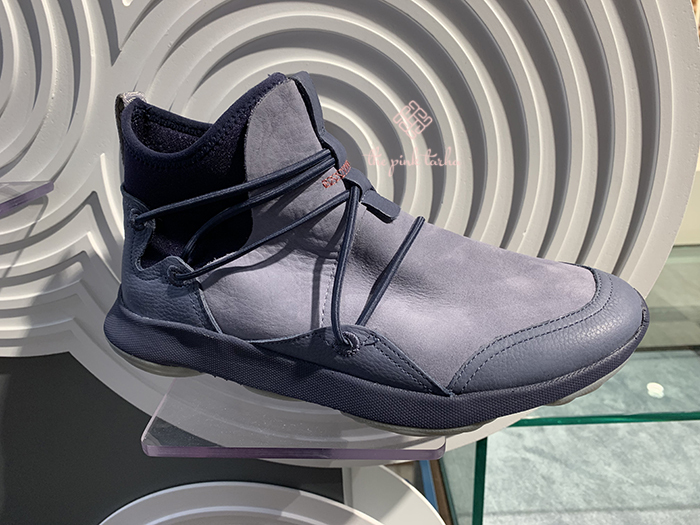 Based from the other models of the shoe I’ve seen, it appears that they have stayed within the neutral and staple colors of black, grey and blue. With the exception of one or two styles in pink and white. The Bounce Max design and comfort also comes in leather styles for a more formal look. They have models for both men and women and when we saw them in the stores themselves, we even saw that they had designs in leather too. My husband also liked one of the models and tried them on. How does it look on men? Pretty darn good too, I’d say. One of the leather designs. My husband liked this one a lot! I’m not a shoe aficionado. I don’t knit-pick as much, I don’t have high standards. As long as the shoes are comfortable, that’s enough for me. 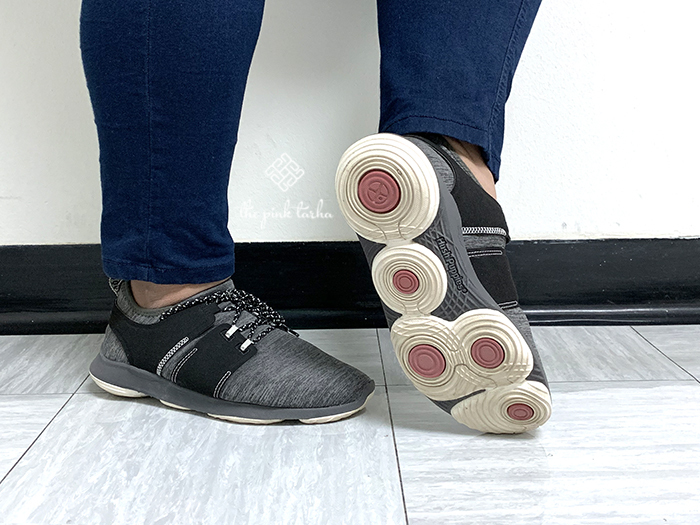 I’m the flats-wearing kind of girl and I rarely wear sneakers so reviewing the Hush Puppies Bounce Max is interesting for me. It’ll be the first sneaker that I’ll use as much as possible in a long while. It’s good timing because I’m going on vacation! I’ll see if the shoes will hold up with my hectic schedule. 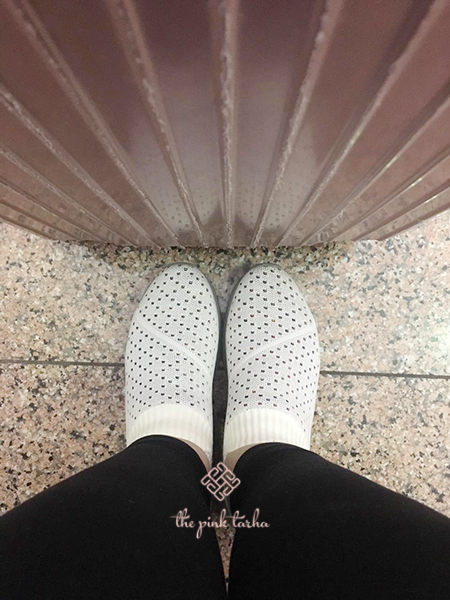 Janelle at the airport with her Bounce Max pair. I picked the FREE IVORY KNIT model because the color will go well with any outfit. 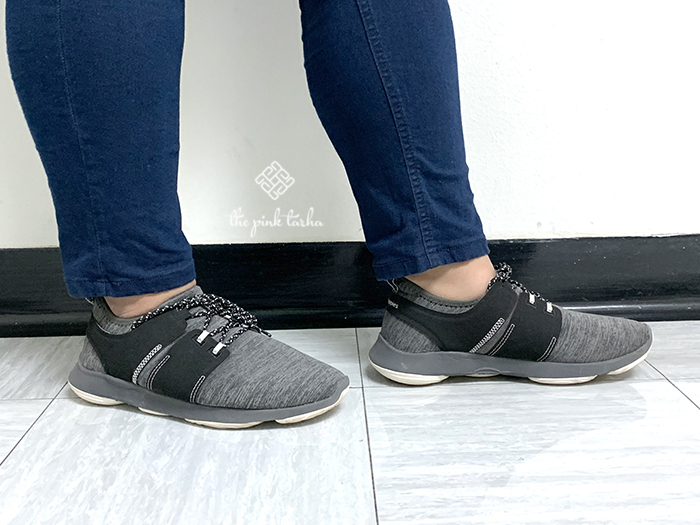 When I first wore the shoes, the knit textile uppers immediately hugged my foot, especially my ankle. It felt a bit tight but as I wore the shoes, it loosened and fit nicely. With the five unique foam pods at the bottom, the shoes felt awkward on the first few steps because I can feel them and I was conscious I wasn’t walking with normal flat shoes. Eventually, walking became more interesting! My feet adapted to the unique sensation of walking with the pods underneath. I used the shoes in different floor textures from smooth marble tiles to rough, unpaved streets and even grassy patches. It was great for any surface! Its versatility and flexibility is great. I enjoy using it. I’m still going places now and I’ll update our social media accounts with more adventures with my Hush Puppies Bounce Max! The Hush Puppies Bounce Max is now available in all Podium stores and Hush Puppies stores, Kingdom-wide. 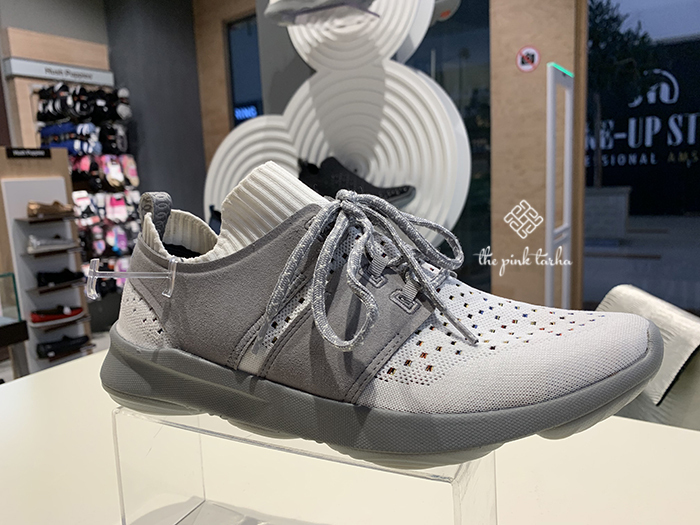 Price ranges from 279 SAR to 399 SAR depending on the style and model.